Teresa F. Frisbie - Mediator & Arbitrator based in Chicago, Illinois. Director of the Dispute Resolution Program at Loyola University Chicago School of Law. 30 years legal experience, arbitrator since 1990, mediator since 1998. Represented plaintiffs and defendants nearly equally in litigation practice. Teresa has mediated and arbitrated hundreds of cases and has taught negotiation, mediation, mediation advocacy and international arbitration to judges, lawyers, physicians, executives and law students in the U.S and internationally. 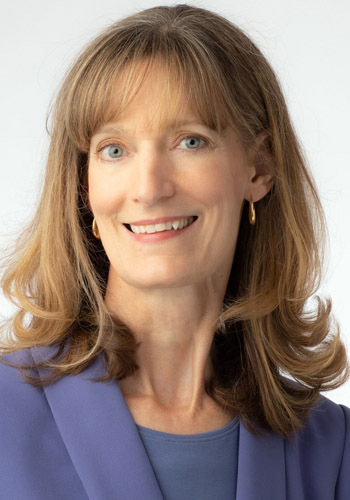 Teresa was named the 2018 Mediator of the Year by the Association for Conflict Resolution, Chicago; and both a Top Ten Women Neutral and a Leading Lawyer in the areas of Alternative Dispute Resolution/Employment, ADR/Commercial Litigation and ADR/International as voted by her Illinois peers through Leading Lawyers. As a mediator, Teresa possesses strong skills that help her bring parties to resolution in hotly contested business, employment, trust/estates and other emotionally-charged litigation. Viewing the problem broadly and using caucus and joint session as appropriate to the case, she is able to use a variety of mediation strategies to assist the parties in communicating, identifying interests and reaching a creative resolution. As an arbitrator she manages the arbitration actively using such techniques as thorough pre-hearing conferences, and she is not hesitant to apply the law. She has also completed ACESIN training in electronic discovery disputes. In addition to her long legal career in business, employment, injury and wrongful death litigation, Teresa has helped people and companies resolve disputes in a wide variety of circumstances over the years including disputes between business partners, executives, employers and employees (everything from restrictive covenants to discrimination), siblings inheriting estates, buyers and sellers of residential and commercial real estate, landlords and tenants, condominium boards and residents, and coworkers. Formerly a partner at the law firm of Foran & Schultz, Teresa has also been Of Counsel to Davis McGrath and DeGrand & Wolfe, P.C. Teresa is a frequent speaker and writer on ADR topics and is a columnist at the Chicago Daily Law Bulletin.